Home >Tea News > Recipes > Tea served with a nutty difference! Tea served with a nutty difference! 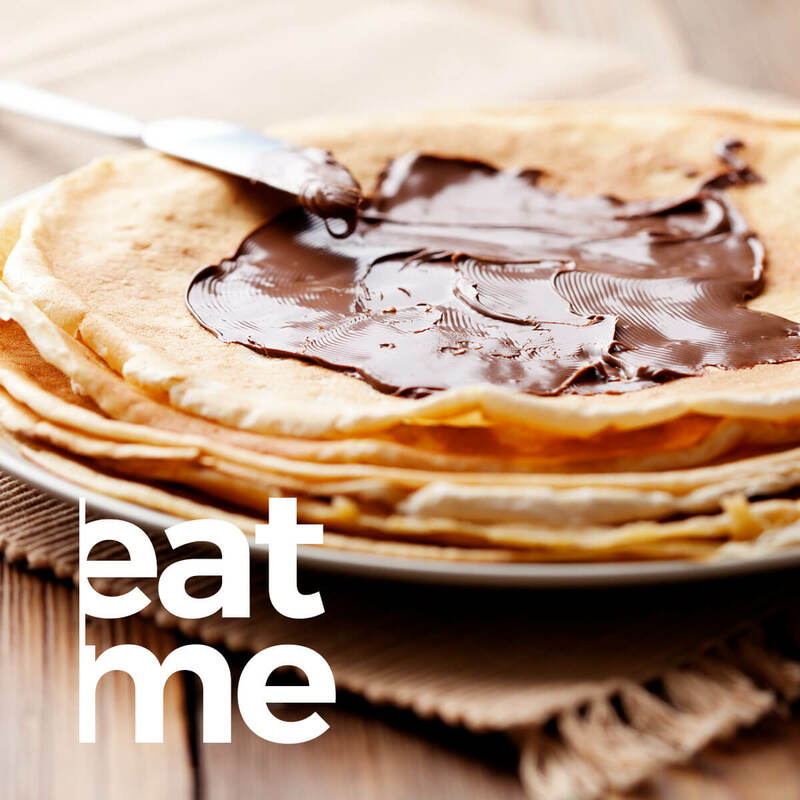 If there is ever an opportunity to eat crepes, then all other food should be forgotten (well maybe not all other foods) We must say though a big thank you to France for a wonderful food invention. Serve with a delicious Madura Brew – Dad will be sure to thank you! Combine all ingredients (except butter for the pan) in a blender. Blend for 30 seconds or until ingredients are thoroughly mixed. Place batter in the refrigerator and let sit for 1 hour. When the batter is ready heat a small non-stick pan over medium high heat. Lightly butter the pan then lift it off of the heat and pour 1/4 cup of the crepe batter into the pan swirling it around so the batter runs to the edges of the pan making a thin circular crepe. Place the pan back on the heat and cook for 30 seconds (or until bottom begins to brown) then flip and cook for 30 seconds on the other side. Turn the finished crepes out on to a parchment paper lined countertop to cool. Repeat the process until all of the crepe batter has been used. Once the crepes are made you can begin filling. Fold each crepe in half making a half circle. Then spread 1-2 tablespoons of Nutella on each crepe. Cover 1/2 of the folded crepe with sliced strawberries and bananas and then fold one side up and over to make a triangle filled with Nutella and remaining fruit.